Home / Why choosing SROKA boards? 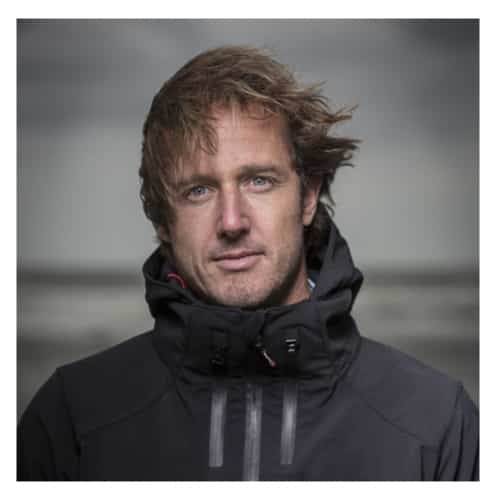 The brand was created in 2013 when Bruno Sroka (three times kitesurfing world champion, and adventurer) stopped competing. With his background in both high-level sport and PE teaching, he was able to combine two different worlds, one focused on competition and technical skill, and the other on making sport accessible to all by producing easy-to-use products. These two worlds come together in every one of our products. 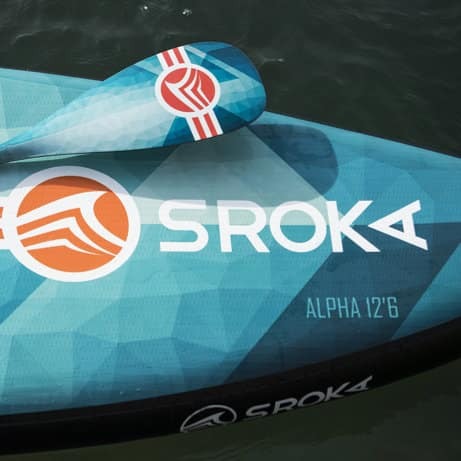 SROKA stand-up paddle boards are innovative, high-performance, high-tech designs, offering top-of-the-range quality at an affordable price. We pride ourselves on only producing highly durable, high-end products, at affordable prices. We pay more when you can get the best quality for less? Only the finest materials go into making every product. We only use reinforced PVCs that are used in semi-rigid boats, unlike the many brands which use Tarpaulin, a PVC used in waterproof bags. And while many brands only put one layer on the rails, we use at least three to increase our products’ rigidity and reliability over time. These are just two examples which reflect the true spirit of our brand, and the quality of our products. A composite stand-up paddle board is very unwieldy. 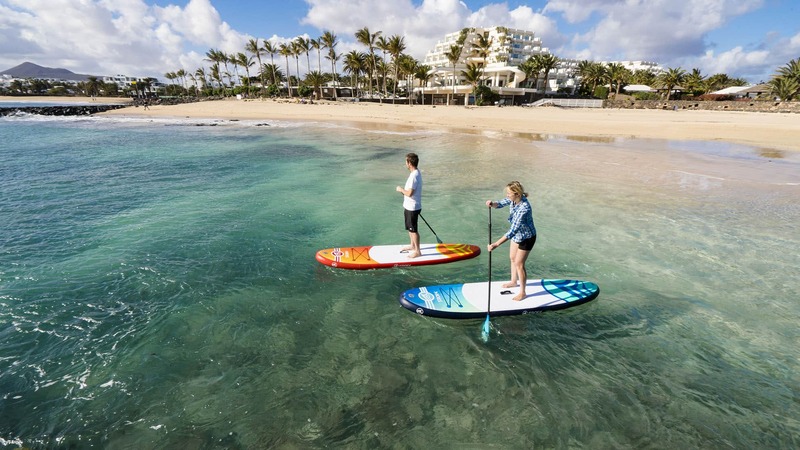 However, advances in inflatable technologies have truly revolutionised board sports, and SUP boards can now be transported without a roof rack. 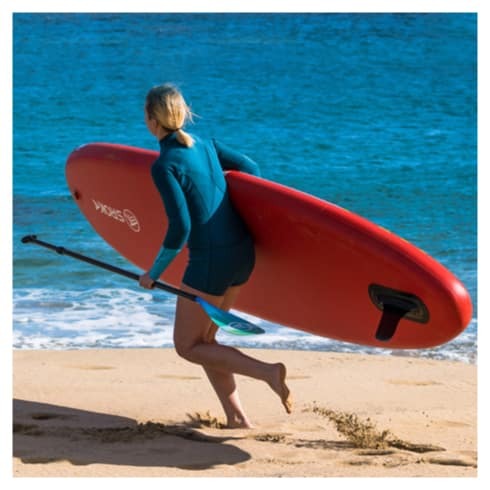 Inflatable SUP boards are much stronger and lighter, yet offer the same performance as composite boards. 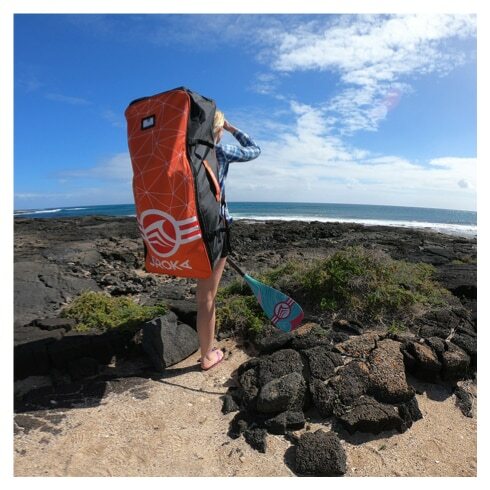 Strong, light, high-performance, and easy to transport, inflatable boards are the best compromise on the market. SROKA’s experience extends beyond the water to quality accessories for use on land. Our top-of-the range carrying bag, made from the hardest-wearing fabrics available, is very easy to use with its wide opening. The Alpha series comes with wheels, making it one of the best bags on the market. Your SROKA adventure begins the moment you pick up your bag. 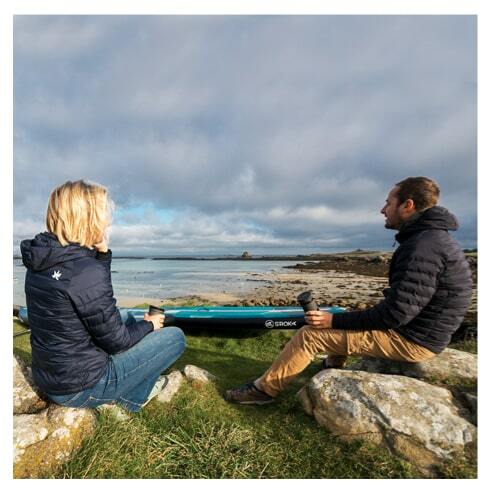 Our dual-flow pump is light in weight and takes only 3 – 5 minutes to inflate the paddle board. 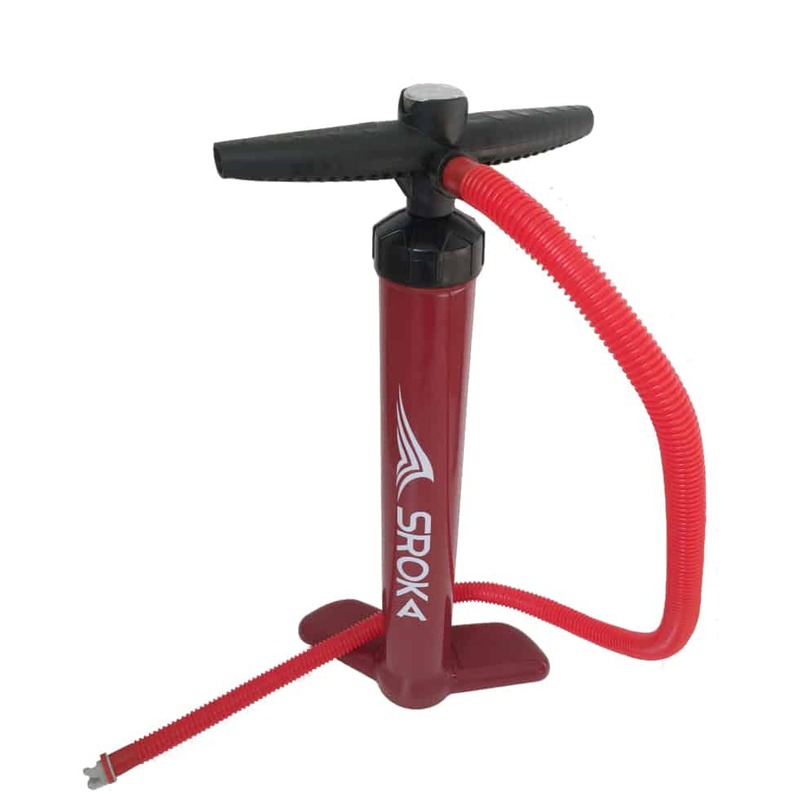 Manual pumping is good for warming up your muscles, so we decided to simplify the process with a lightweight, easy-to-use pump. We innovate every day. Our paddle boards are manufactured in the best factories in the world. We have quality checks for every product, and we update our designs every year to make your experience even more thrilling. 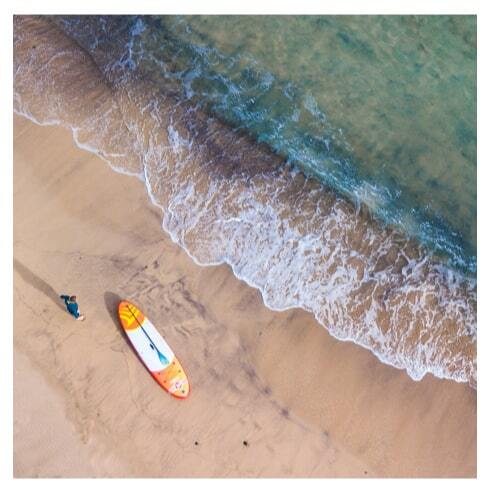 This year, we decided to offer paddle boards with a unique, top-quality design, and we’re one of the only brands on the market able to do so. 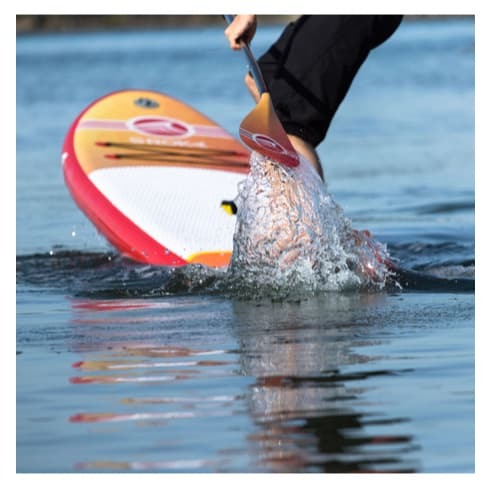 Our SUP boards don’t need extra systems to make them rigid. Nature abhors complexity. We aim for simplicity. To this end, we use the best drop stitch materials and the best reinforced PVCs on the market, and we put three layers on the rails to guarantee maximum rigidity together with maximum ease of use. 8- A passionate team at your service. Our entire team is passionate about board sports. We’re actively involved in every one of the sports we bring to market. Bruno Sroka tests every product personally to guarantee top-of-the-range, quality products.